Appendix to the War Diary of 7 RTR, which was in the Tobruk fortress during the battle. Many thanks to the Tank Museum for their great work in transcribing these, and the very courteous handling of my requests to get them copied in pieces and shipped to France. Lieut McGinlay was in action continuously from the night 21/22 November to the morning of 30th November. During this time he performed his duties with the utmost gallantry and was largely responsible for three successful attacks on enemy strongpoints. On two separate occasions he led the tanks to a startline on foot when under the most intense artillery and mortar fire, with a complete disregard for his own safety. He has acted as troop leader, liaison officer, reconnaissance officer and even F.O.O. and at all times has been absolutely reliable. His magnificent courage and unquenchable cheerfulness have been unsurpassed. His leadership and advice have been first class at all times. His Bar to the MC was gazetted on 24 February 1942, his original MC was numbered 140577. Following contact with the daughter of the late Major ‘Jock’ McGinlay MC and Bar, it turns out that somebody higher up the foodchain in 8th Army decided that a DSO might be too much, and the decoration was downgraded to an MC. A difficult to understand decision, unless one presumes that what Lieutenant McGinlay did was somewhat expected of a troop leader. It appears from some further research that a DSO for a junior officer was seen as an indication that this officer had just about missed a recommendation for a Victoria Cross. Given that this recommendation came from a very experienced Squadron Leader, who himself had been in command at the very tricky action against 15 Panzer at Capuzzo/Pt.207 during BATTLEAXE, it speaks very well of Lt. McGinlay. Lt. McGinlay was wounded during the last stand of 4/7 RTR outside Tobruk in the desastrous Gazala battles, and captured in hospital when Tobruk fell. He returned to the Royal Armoured Corps in Italy in 1944, commanding Churchills after his escape from captivity, and fought until the end of the war. See also this post about some information from the Major McGinlay’s papers. I would still be interested to hear what became of Major Holden DSO. On the night 4/5 January 1942 the RAF bombers (Blenheims and Wellingtons) from Malta paid a visit to Castelvetrano (I have also seen Castel Vetrano and Castelveltrano as spelling) airfield on Sicily. At the time, the airfield was stuffed with Axis transport planes which gathered in the Med, either to resupply Africa, or to transport in units and supplies belonging to the Luftwaffe’s 2nd Air Fleet which had just started its camapign against Malta. 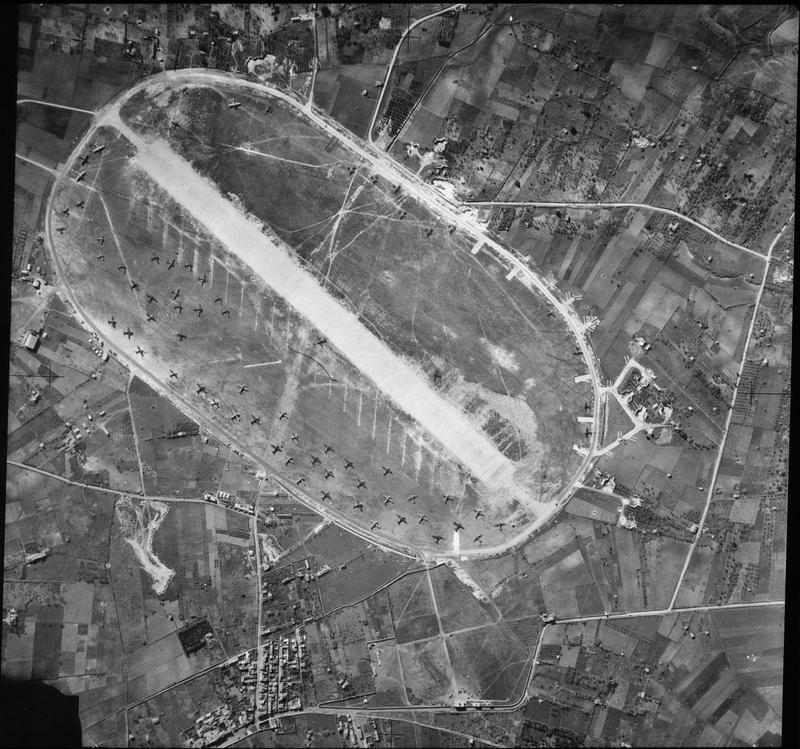 This aerial reconnaissance picture below shows the airfield and the Axis planes parked on it on the day before the successful attack, and it was probably the reason for the attack. The after action report (AAR) of the Wellington attack makes interesting reading. 11 Wellington sorties were flown that night, with four a/c making the trip twice. One of the Wellingtons carried a 4,000 lb (1,800kg) “blockbuster” bomb, and appears to have managed to drop it right into the parked planes. Plane Z dropped his 4,000lb [Blockbuster] bomb from 8,000 feet which landed just east of runway about two thirds of the way down from North-South. A terrific explosion resulted throwing up debris and dust. The target was visible when aircraft crossed the coast and showed up well. Plane P No fires were burning when the aircraft arrived on the target at 0357 hours (Approximately 4.5 hours later than aircraft Z). One aircraft failed to return, with the crew of Sgts. Lewthwaite, Pick, Chalmers, Bryan, and James. The Axis air forces lost six S.82s (one of which was used by the Germans), four Z1007bis, a CR42 and a Ju52, all of which were destroyed; in addition 42 more aircraft were damaged to various degrees: 22 S.82s, 15 Z1007bis, 2 FN305s, 2 CR42s and a MC200 (Thanks to Jon G. on AHF for the info). The S.82 were the biggest transport planes available in the Med at this stage, and losing 28 of them even if some were only out of service temporarily must have been a very big drain on overall Axis air transport capacity at a critical juncture. Well, at least that is what I can make out of C’s handwriting. His full comment is ‘I incline to the view that the admirals views are wild’, but I am not 100% certain about the last word. It is his comment on a piece of intel submitted to him, titled ‘Italian appreciation on the situation in LIBYA 27th November’. This itself is a misnomer, and I think C got it, since it is not an official appreciation, but the view of one, albeit high-ranking naval officer on the ground campaign. Still, the Italian admiral was not far off the established opinion. Only five days later Panzergruppe HQ declared victory – read at this link! Axis front Sidi Amar (sic!) – Bardia is consolidated and quiet at present. Three British divisions, which were heavily engaged there, would appear to have retired to the eastward, for refitting (?). Concentrating the major part of their available forces, the British have opened a narrow breach through our forces disposed for the siege of Tobruk, joining up at Belhamedi. However, from this morning, 3 Axis armoured divisions from the Bardia area are advancing fighting, towards the westward. 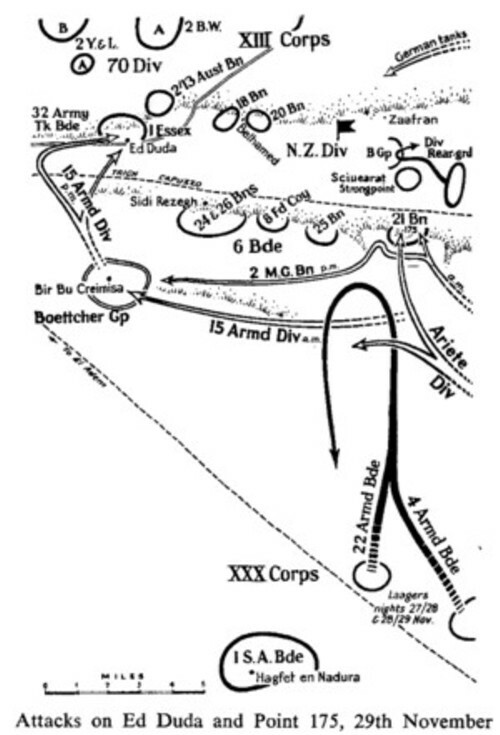 The British have had, as their dominating objective, the union with the forces besieged at Tobruk while the general shape of the battle has been characterised by the broad maneuvre. First towards the east, and now towards the west of the Axis armoured division. Let’s go through this with the benefit of hindsight. 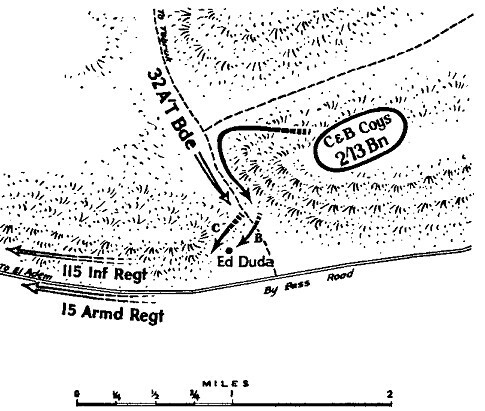 At this point, out of three divisions and three independent brigades, only 7th Armoured had pulled back (what was left of it), but not to the east, mostly to the south, as had the South African 1st Brigade, while 5th had ceased to exist. 4th Indian Division was still besieging the frontier, and the New Zealand Division was busy attacking westward. Of course, it was the failure by the Axis commanders to realise this which helped to win the battle for the Commonwealth. If anyone knows which position the good Admiral held, I would be very interested. According to Rich, “C” was Lieutenant Colonel Sir Stewart Menzies, and the position of “C” was the model for Ian Fleming’s “M”.